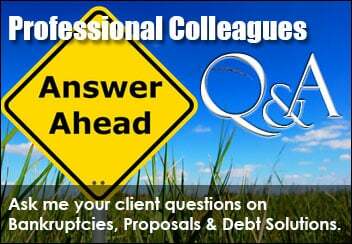 ~ What Are Your Options in Consolidation Loans? Dealing with debt can be very difficult and stressful to cope with. In particular when you are dealing with credit card debt, the rising interest rate month after month can really make debt payments overwhelming as you struggle to figure out how you’re going to pay it back. This is why Consolidation Loans in Toronto have become the first option most people take for debt relief as it gives them a way to make repayments more manageable. You just make one loan payment every month and don’t have to deal with paying many creditors at different times of the month. Because you no longer have to pay multiple debts, the amount of money you pay out each month is less than what you were previously paying. Instead of being charged different interest rates you only have to manage one interest payment which could be less than what you were paying, especially if most of the debt consolidated was high interest credit card debt. Your debt will be paid off in a specified length of time which is usually 2 to 5 years after which you can be debt free. It does seem to make everything simpler, doesn’t it? But, debt consolidation is not a quick fix and there can be some complications that can put you at a disadvantage. It can be difficult to obtain, especially if you don’t qualify for such loans. This hits home in particular for people currently out of work or those self-employed as lenders want to see you have a steady income, employment and a good credit rating before considering whether or not to qualify you for the loan. If you don’t qualify, you may need a cosigner to agree to take on the loan with you. This can bring up a bunch of concerns particularly if it gets to the point that creditors are going to want them to pay and take the responsibility of your debt problems. You may need to put something up as security for repayment of the loan. If you put up personal assets such as your house, this will now be at risk if you don’t keep up with the payments. You may need to pay a higher rate of interest in order for some financial institutions to approve you for a loan. You won’t have access to credit. You won’t be able to use your credit cards or apply for a new loan to help keep you from running up new credit card debt and increasing your debt load and making your problems worse. Your credit score will drop. If you apply for an auto loan, mortgage, a new credit card or any type of credit-related service a potential lender will review your credit. Any time a credit inquiry happens because you’ve applied for credit it would be listed on your credit report as a “hard inquiry” and that would affect your credit score. For all these reasons, you should be very careful when looking into debt consolidation as a solution to your debt problems. It may sound very appealing and very easy to do but it doesn’t mean it will give you a quick fix or save you any money. Unfortunately it’s often difficult for someone already under stressful financial circumstances to figure out what type of debt relief could be the best solution for their current financial situation. Talking to a Licensed Insolvency Trustee at Richard Killen & Associates can help put things into perspective and help you make sense of the different ways you can deal with your debt problem. A debt consolidation loan is a sum of money that you borrow from a financial institution such as a bank, credit union or finance company that you use to pay off all your outstanding debts. What happens basically is that all of your loans are “consolidated” or combined into one big loan. The basic idea is to pay off all of your smaller loans and reduce multiple monthly payments so that making only one payment will be easier to manage. The goal is to lower the interest rate and the monthly payment amount so you can save money and you can pay off the debt sooner. That is the aim, but it does not always materialize for everyone. For many instances a debt consolidation loan does not reduce the total amount of debt. You may be able to get a loan with a low interest rate, which is not always a guarantee, but in many cases the reduced interest payment may not be substantial enough to free up as much money as required to allow you to make more payments towards the principal amount instead of toward interest charges, so you might not save much in the long run, especially once you add in the fees and charges. Unless it does this, you’re really only restructuring your debt, trading one debt for another while your total debt level remains the same. It can also be that the interest rate on the loan is lower but the payment period is longer and in the end the total amount of interest you pay is actually a lot bigger. It may seem like you are saving, but if you do the math you really end up paying a higher interest amount overall. That the new monthly payment amount won’t increase. The interest rate is substantially lower than what you were paying before so that more money is going toward actually paying down the debt instead of toward interest charges. Your income can support making monthly payments until the full amount of the loan is paid up. The new loan will cover all existing debts so that you only have one loan left with only one monthly payment to make. You can afford to pay additional fees or charges that may incur when switching to a new loan. You make a budget that will allow you to spend less than your income and to save. You make the right type of consolidation loan for your current financial situation. What Are Your Options in Consolidation Loans? The right type of loan consolidation you make will matter a great deal. You’ll know it’s right if it helps combine your debts into a more simple and affordable payment plan. Additionally, each type of debt consolidation has pros and cons that can help you determine if it is a good fit or a bad one. 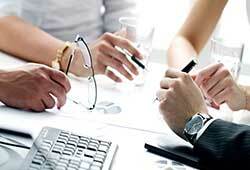 In Canada, there are 7 basic types of debt consolidation services. Using a debt consolidation loan – This can either be an unsecured debt consolidation loan without any collateral, such as credit cards, payday loans and personal loans, or a secured debt consolidation loan which will require collateral such as property, vehicle, term deposit, valuable jewelry or other assets that can easily be sold or liquidated. Using a home equity loan / refinance mortgage / second mortgage – This is a loan taken against the portion of your home that you own. Using personal overdrafts and lines of credit – This can be a loan attached to your existing bank or checking account or a personal loan that gives you access to a specified credit limit. Credit card consolidation – The best way to consolidate credit card debt is to transfer all your other credit card balances over to a 0% interest balance transfer credit card that charges no interest or to a low interest card with low promotional interest rates for a period of 12 to 18 months. Debt settlement – A trained debt consultant negotiates with your creditors to offer a one-time lump sum payment to settle your debts, usually just credit card debt. Debt management program – A repayment plan offered through a credit counselling agency that lets you eliminate interest and repay debts with one affordable monthly payment following a payment schedule of up to 3 years. 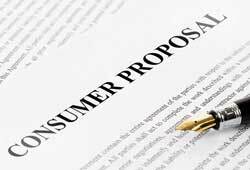 Consumer proposal – A legal process where a Licensed Insolvency Trustee sends out a proposal to your creditors asking that they accept payment of less than the full amount of your debt without interest up to a period of 5 years. 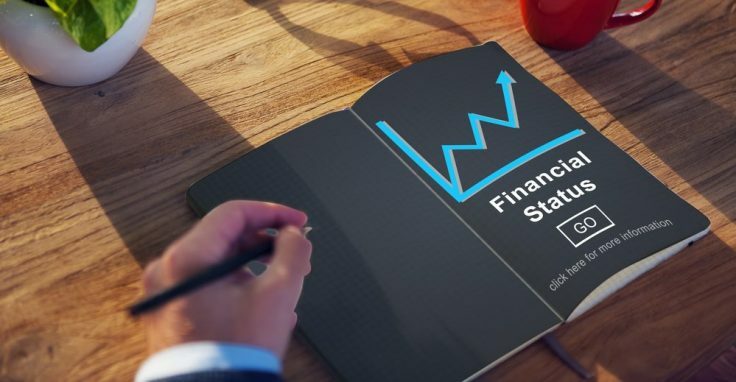 Whether or not a loan consolidation is the right debt solution for you will ultimately depend on a number of factors which can include your current financial situation, your credit score, and, importantly, if you follow a budget. Many people fall into the trap of thinking that consolidating debt will make life easier in an instant. They take out a consolidation loan to pay off their credit card debts but charge them back up again and they end up with the same credit card debts, or worse with even more of it, within a year or two after getting the loan. The danger with a debt consolidation is that it gives you the illusion that you are saving money and tempts you to spend even more. If you got into trouble because of spending tendencies in the first place, then taking on this type of debt relief may actually make your debt problems worse. The key to making a debt consolidation successful is to avoid taking on new debt. For this to work, you need to address the behavior that got you into trouble in the first place. Stop using the credit cards. Cut them if you have to or just close the accounts. And then get help from a debt professional. 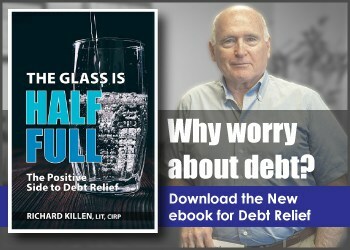 When you come to us at Richard Killen & Associates we will make sure to help you put measures in place to prevent your debt problems from happening again in future. We believe strongly that while it is important to understand the main circumstance that started the debt problem, it is more important to set in place a plan to prevent it from recurring. We will help you create a budget and work out a plan to repay all of your debt and get your finances back on track. Debt consolidation in Toronto is certainly one of the legal and effective ways to get out of debt. While it is the most common way for debt relief in Canada, it is not the only way. 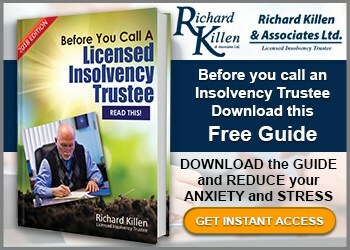 Our team of Licensed Insolvency Trustees at Richard Killen & Associates can provide you with all your options and help you figure out the right course for you. Visit any of our 11 offices across the Greater Toronto Area, or give us a call at 1-888-545-5365 to book your FREE consultation with one of our Licensed Insolvency Trustee or experienced insolvency specialists and we will explore all your options with you. Call now and make the most stress-relieving call you will ever make!